Hello! I want to welcome all of you to the Thrifted & Relifted Blogger Challenge! 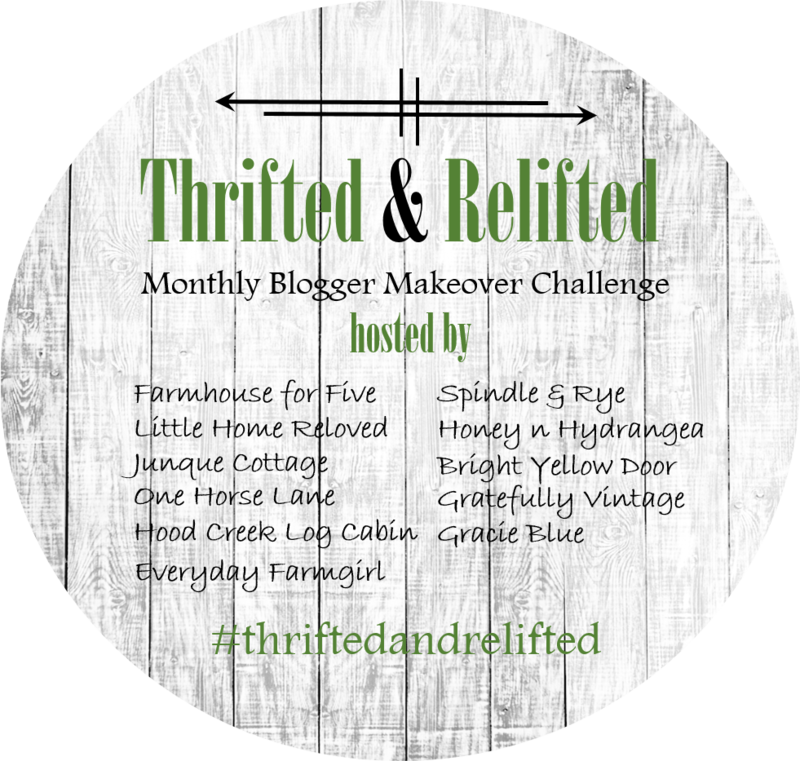 (Yes thrifted and relifted are made up words, but they make total sense to me) I don't know about you but I am always up for a good makeover! 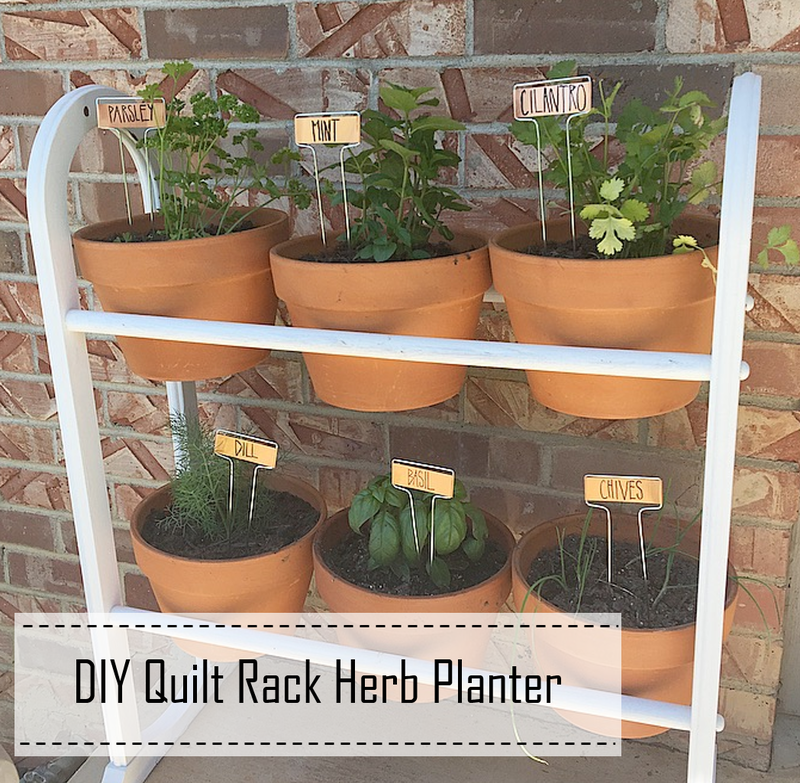 I thought it would be fun to get together with a group of bloggers like myself who love to thrift, DIY, go junkin, makeover, re-purpose, and everything in between. 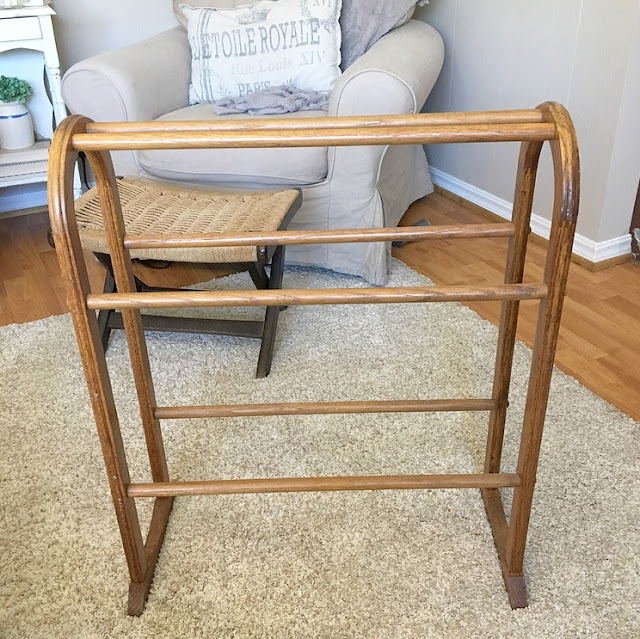 We are challenging ourselves monthly to find a thrift store/flea market or garage sale find for under $30, and give it a brand new purpose or makeover! At the end of my post I want to invite you to check out all my co-hosts blogs and see their amazing transformations! Also, we would all like to invite YOU to join in and challenge yourself to a junkin makeover! Link up your post so we can visit your blog and see what you have came up with! I always come across old quilt racks but never have a need for them, thanks to the ever so popular blanket ladders these days. I found this one for $5 awhile back but just had it setting in my basement. 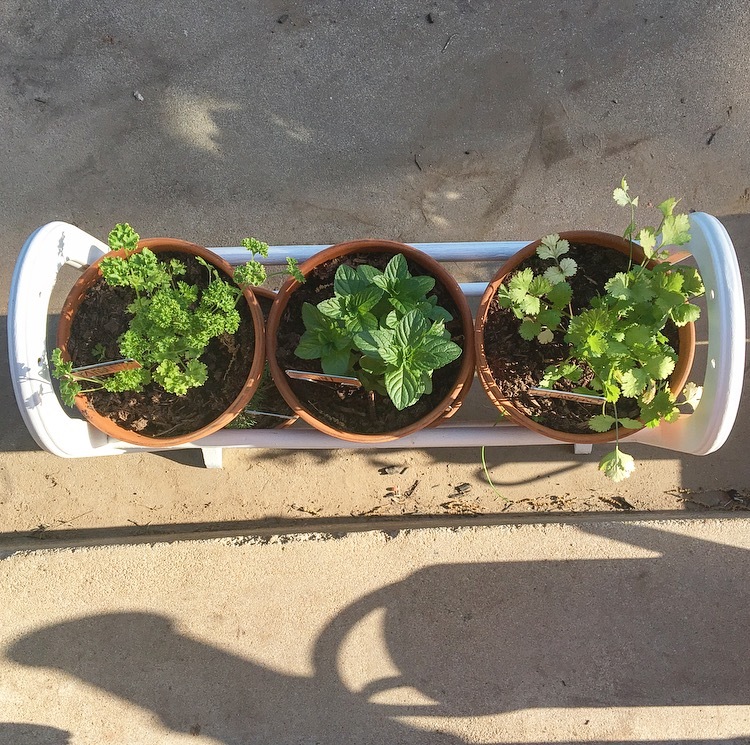 As I was headed back up stairs one day I glanced at it and immeditely had this idea in my head to turn it into a herb planter. Here is the before...I started by unscrewing the top two bars and completely removing them. 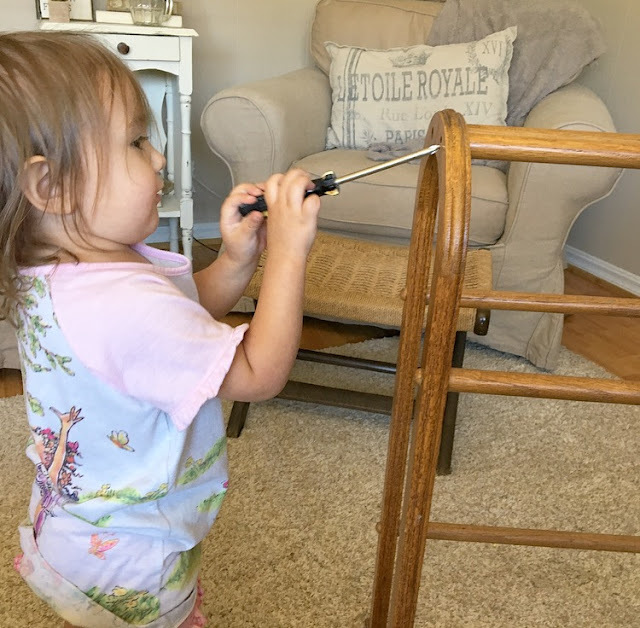 I had some help from a cute little helper, well she thought she was helping anyway. I sanded it lightly, then wiped it down. I then painted it all white to give it more of an updated look. After it was dry, I sprayed it with a clear sealer. 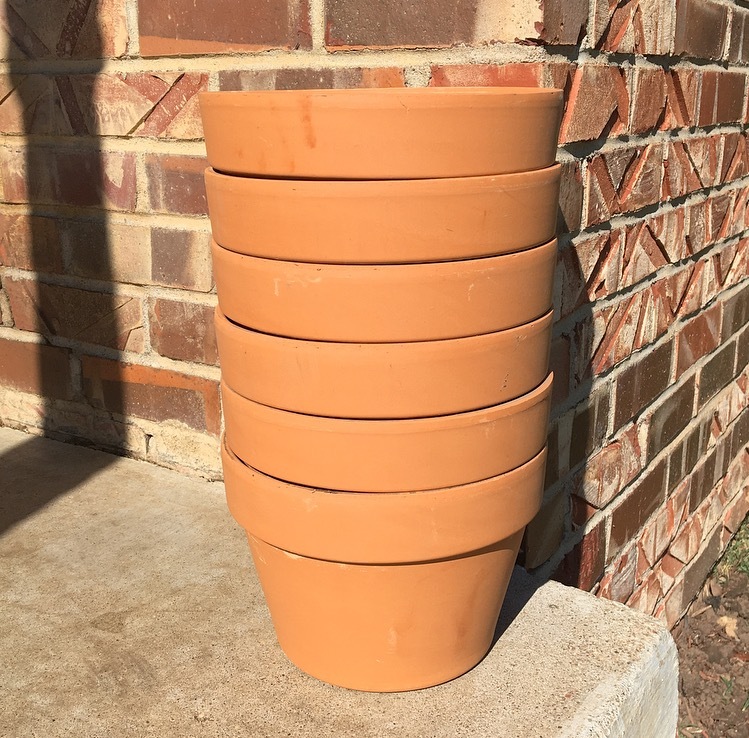 I knew I wanted Terra-Cotta pots so I measure the opening between the two bars to see what size I needed to find. I found these at Home Depot. For pots with drainage holes in the bottom, add a coffee filter to keep the dirt from falling out. 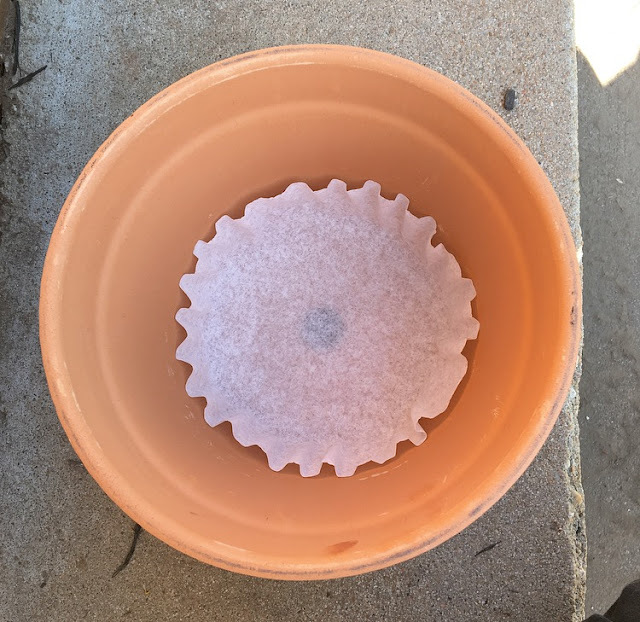 The filter will still allow the water to drain. 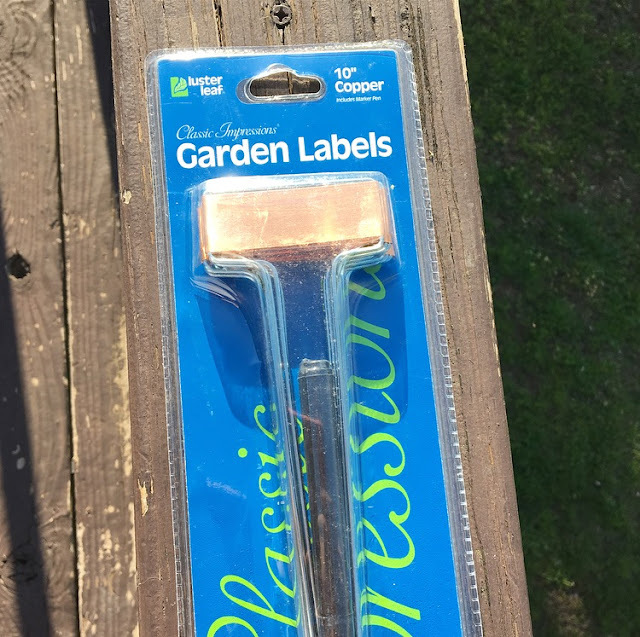 I planted each plant and wrote on the label. My writing isn't all that great but if you mess up simply remove the paint with nail polish remover. Here is the finished DIY! I love the color of the Terra-Cotta pots with the white stand and the green from the plants. The copper made the perfect finishing touch! 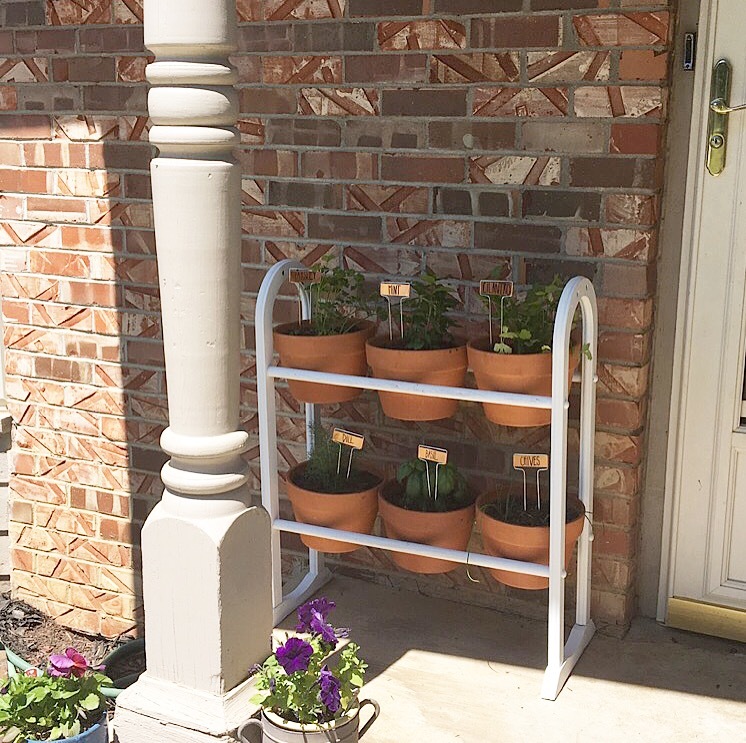 I have a very small front porch, this planter fits perfectly beside my front door and made my porch look a thousand times more welcoming. 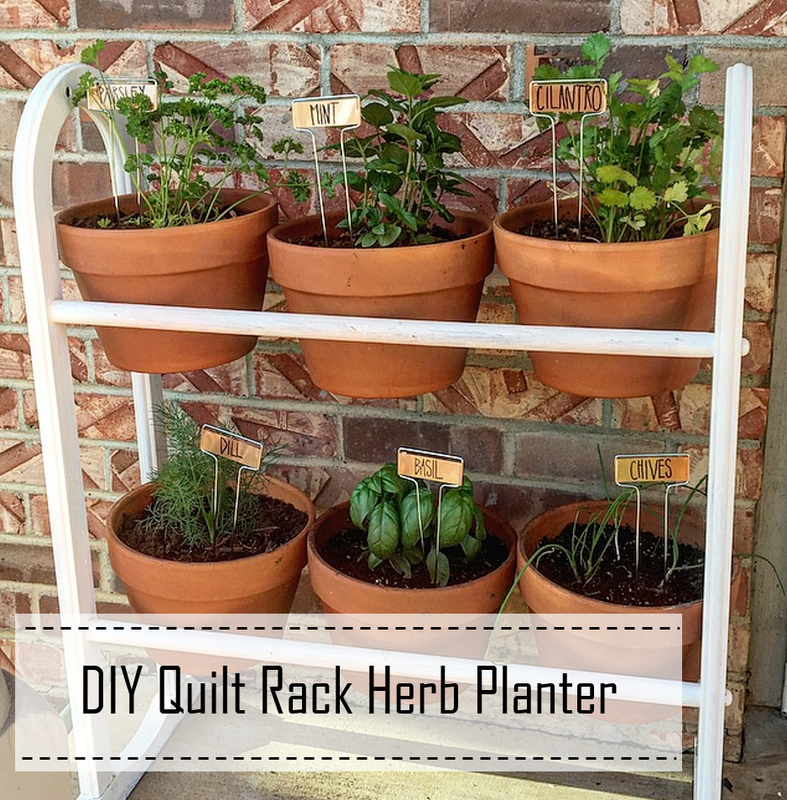 I hope if you ever come across an old quilt rack that you might use my DIY as inspiration for your own Herb Planter! If you do, I would love to see them! Thanks for stopping by! Be sure to head over to my friends blogs below and check out their thrift store makeovers! They are all amazing, believe me...you don't want to miss them! This is so creative and turned out gorgeous! This is such a cute idea! I see these quilt racks all the time in resale shops and this is the perfect repurpose for them! 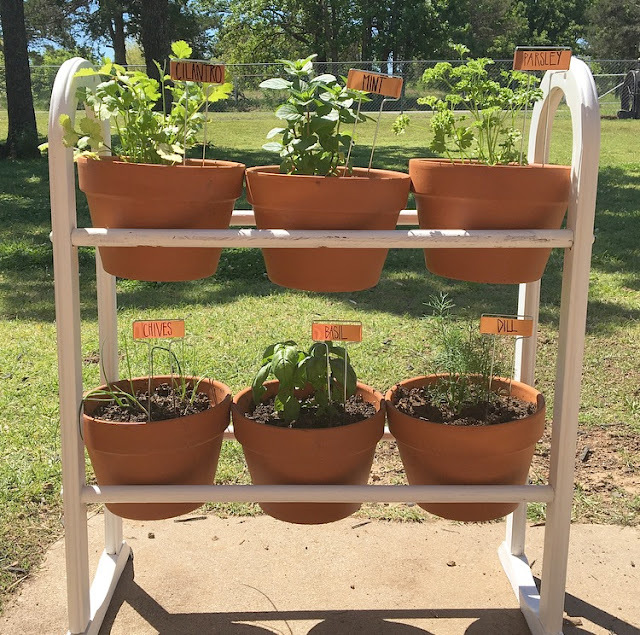 This was such a clever idea! Great job, Daraka! This is amazing!! What vision you have! 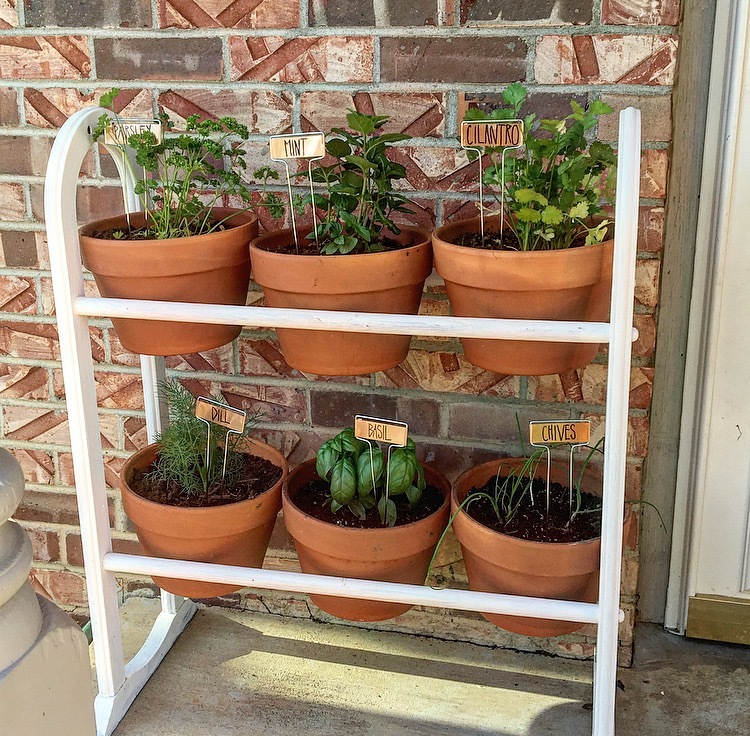 Adorable and functional! Nailed it!!! I do a lot of makeovers and I'm not sure I would have seen this one! It's such a cute idea! 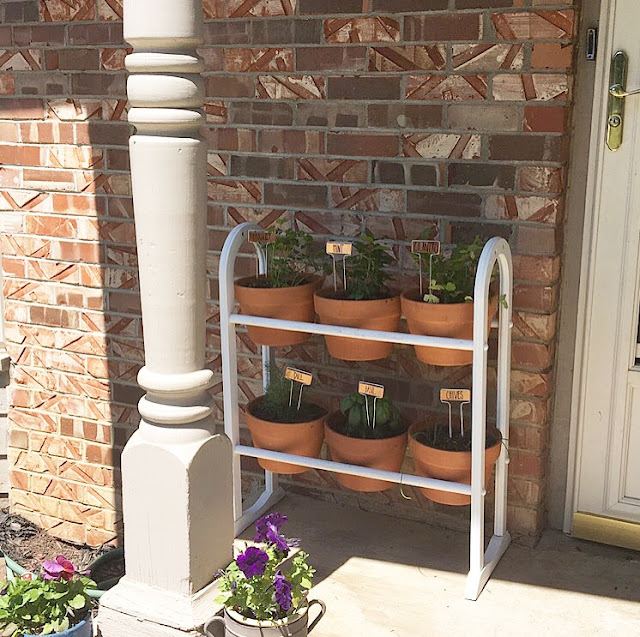 I need a little planter situation, gonna have to look for one like this! Oh wow!! Thank you so much! 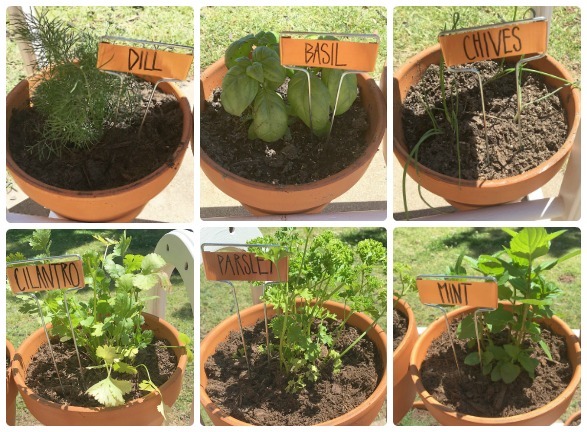 All my herbs are thriving in it too! Love your creativity!! This was such a great idea!!! 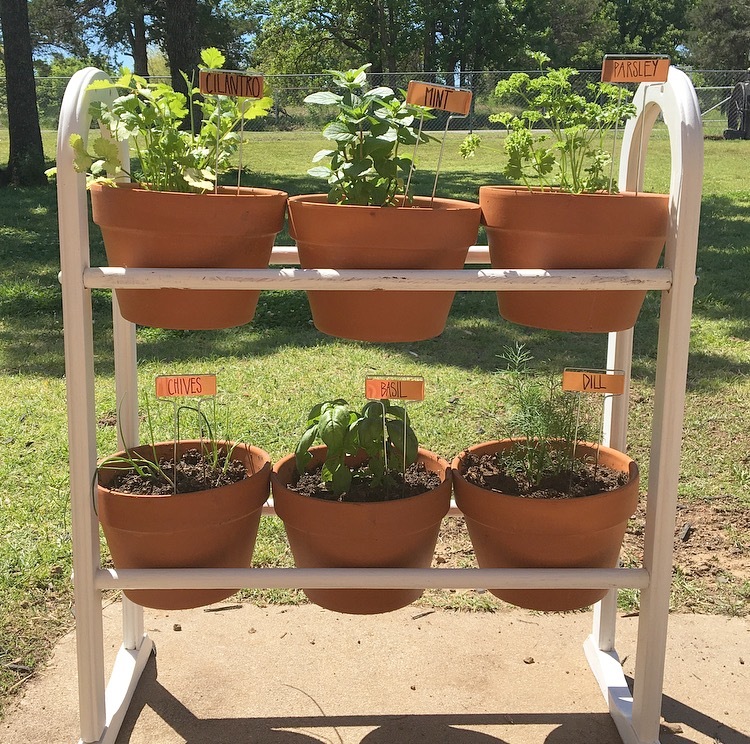 You could fit a whole herb garden in such a small space! It's perfect! This is so neat. 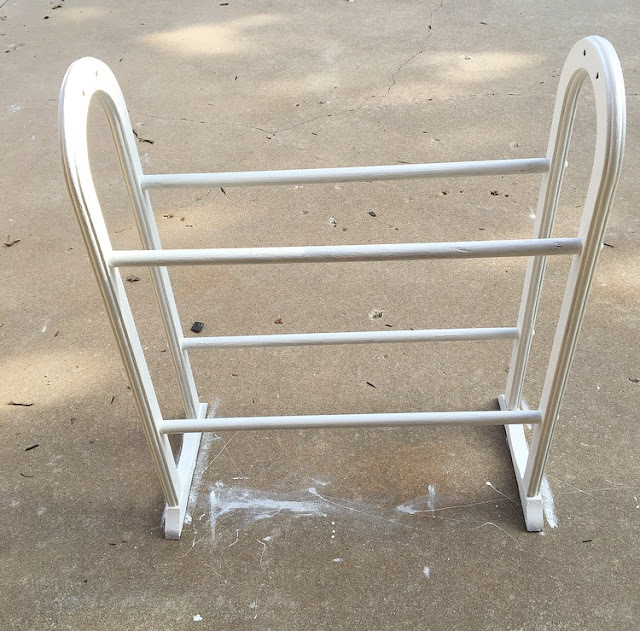 I have a towel warmer that look similar that got used maybe three times. I need to do something with that unless thing.